There are a lot of people who are unfortunately worried about the idea of buying a used vehicle simply because they have either had a bad experience in the past or they know someone who has. When you make a trip to Carson Cars, you can push all of these worries aside and rest assured in knowing that this is a used car dealership that will offer you the best selection and pricing on dependable used Ford cars for sale in Marysville. All you have to do is take the time to get to know a little bit about the dealership and you are sure to find that this is a great place to shop. Of course, nobody should ever buy a vehicle without making sure that you are able to look at a vehicle history report. With Carson Cars, the team will be happy to set you up with a detailed history report of the used Ford car that you are interested in so that you have all of the information you need to make a smart buying decision. Another area that may have you anxious is your options when it comes to financing a used vehicle. Maybe you have a credit history that is shaky, at best. No matter what your credit score might be, the in-house finance team at Carson Cars will work hard to get you into a loan that you can afford so that you can drive away happy in a new to you Ford. 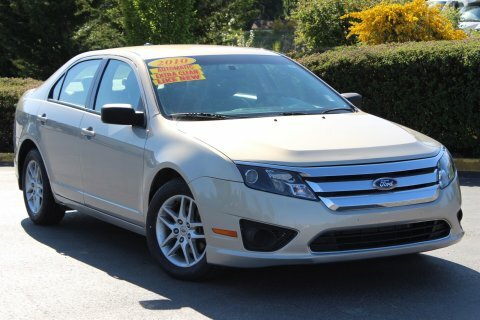 Buy your next vehicle with Carson Cars and shop used Ford cars for sale in Marysville. Call us (855)583-9356 today for selection and pricing information. With Carson Cars, we take all of the hassle out of used car buying.